This is my only entry for this week’s Creativity Carnival for this prompt within the timescale before the next prompt is announced. beneath that X marks the spot, is probably something and nothing… will ‘it’ ever see the light of day? 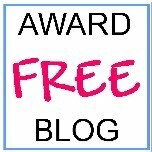 PS: until I make an image/text widget or update pages, I’ve posted the Award Free Blog badge here to declare this blog an award free zone. Reliably sourced, click the badge icon if you wish to get your own… display of this badge shows the person who is thinking of nominating your blog for a blogger’s award, such as the ‘Liebster’, that you do not participate in those challenge chains. The workload involved in taking part can be difficult and stressful for some, or not match with their visual identity, or perhaps their professional purpose. This doesn’t prevent you from adding a link on your blog to their homepage or one of your favourite posts at their blog and showing appreciation that way. Posted on August 21, 2015 by Colette B	• This entry was posted in Blogging101, Creativity Carnival, practice challenges and tagged challenge, Creativity Carnival, fun, mapping, play, poem, treasure. Bookmark the permalink. If interested, I’m willing to lend a help by sharing how I configured an “Image” widget to create an “Award Free Blog” badge over in my side bar. 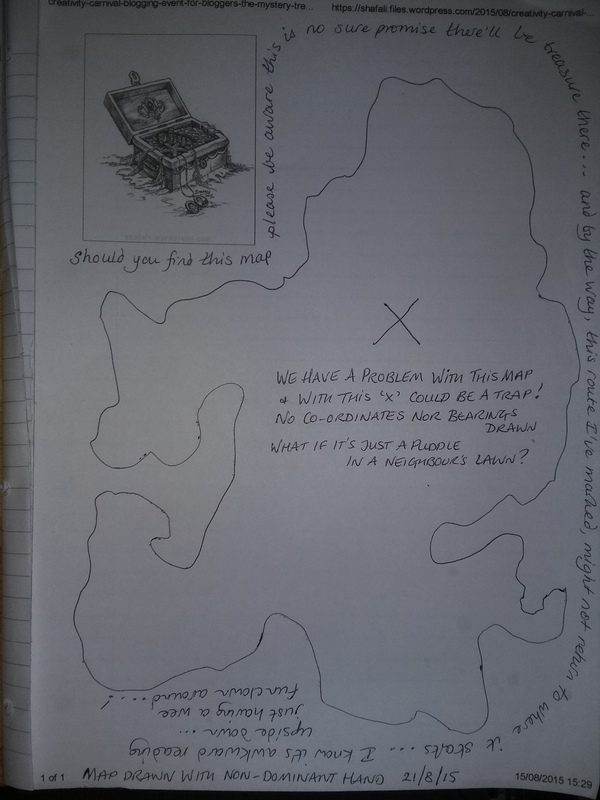 A Treasure-hunt with an incorrect map! I shudder to imagine the outcome. This idea has potential of evolving into a story. Are you planning to write one? Thanks for participating 🙂 I like your fresh take on the challenge. Aah but we don’t actually know it’s inaccurate! No idea of scale or anything. If the island’s as big as the chest…it wouldn’t be an X as big as the map or it’d appear crossed out and THEN we’d have what appears to be an inaccurate map! and is it land or sea… or just a puddle in a neughbour’s lawn…? Such a mystery!